What’s retail’s approach to mobile tablets? The retail world is starting to adopt tablets into its business strategy. 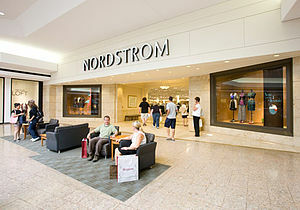 Businesses like Nordstrom have adopted tablets as part of its business tactic. They’re pioneering the way on how to use tablets. The new technology is starting to improve the customer experience and raise the customer satisfaction. The other plus side of this is productivity increase in campaign execution and planograms (a layout of what products and position it should appear on the shelves of the store). So how are they doing this? Through customer service and retail management. Store Inventory. Customers are able to ask staff if a certain product is in the store. The staff can check the store inventory for the product, verify price of the item, see when the next delivery is coming in, how much is at the warehouse, reserve the stock, verify the closest store with the product, adjust store product quantity for theft and damages, return adjustments and delivery. Mobile Checkout. Staffs are able to use the tablet as a mobile checkout which means the customer won’t have to stand at the counter line. This only works for scannable items. The employee can email the customer the receipt after the transaction. This would help in converting the customer rate and the average sale should improve. Staff Mobility. This would enable employees to increase the floor coverage. Campaign Execution. Ensuring real-time execution of marketing campaigns and store tie-ups. Sales. Sales planning for the store, sales history reports and real-time access to store sales and items. Forms. Quick access to fill out forms for injuries, customer complaints or requests and compliance forms. These are some of the ways and benefit in which retail can use tablets. E-commerce through the use of tablets is the emerging retail trend at this stage. However, the bigger advantage in using this could be in the cost. It would probably be cheaper to use tablets instead of RF (Radio Frequency) units. So crunch the numbers and work out the price comparison. What other ways can tablets be used in retail? Would you switch your retail business to tablets? Thanks for mentioning my article in your discussion.